Our practice is only as great as our attorneys and consultants, and we have worked to hire and retain industry experts dedicated to the success of our clients. Mr. Aitken started his career at the World Bank; he has been a Partner in both boutique and international law firms. In 1993, he formed the predecessor of Aitken Berlin, LLP, which he co-founded with Alan Berlin in 1995. He has successfully worked in trade cases involving all major U.S. trade laws, and those of other countries. He is the only American to have been named to the Dispute Resolution Panels of the U.S.-Can. FTA, the NAFTA, the WTO and the WIPO. Beginning in 1996, Mr. Aitken served as Legal Advisor to China's State Planning & Development Administration as part of China's successful effort to join the WTO. He co-authored a book on Antidumping published by the China Chamber of Commerce in 2003. He has taught NAFTA at Georgetown Univ. Law School (LLM Program) and in 2004 he created a major on Trade Negotiations, for the LLM Program at American U.’s Law School, which he taught from 2004-8. In 2016, he launched the Trade Negotiations Training Center in Malaysia with the Inter-Pacific Bar Association (he is Vice Chair of its Legal Development/Training Committee) and the Malaysian Bar Council. He was named an International Super Lawyer (top 5% designation) in the Washington Post (2013-18). In 2002, he formed the Homeland Security Industries Association (www.hsianet.org). From 2004 through 2009, he co-anchored the homeland security shows on World Business Review & 21st Century Business with Gens. Alexander Haig & Norman Schwarzkoph (broadcast on Bravo, CNBC and the Star Alliance). Since 2017, Mr. Aitken has served as Chairman of the Computer & Communications Industry Association in Brussels and Washington D.C.
An award-winning feature & documentary film producer, he advises on film law (including compliance with SEC crowdfunding rules). He has published widely and given over 200 speeches in 20 countries. He has testified before Congress many times and has appeared on Al Jazeera, BRAVO, CNBC, CNN, C-Span & the Star Alliance. He is Graduate of Fordham U. (BA, Eco. ), Columbia U. (MBA, In’l. Bus.) & Amer. U. (JD). For more information about Bruce Aitken, please visit LinkedIn. Mr. Berlin is a senior partner in the New York office of Aitken Berlin LLP specializing in international and domestic natural resources, energy and commercial transactions, corporate law, taxation, securities law, international trade, and transportation matters. He has represented both private sector and foreign governments in transactions in various parts of the world, with an emphasis on Latin America, the Caribbean and the Central Asian republics of the former Soviet Union. Have also worked for various technical assistance agencies of the United Nations. Mr. Berlin has also represented several foreign governments in the preparation of model hydrocarbon laws and in the negotiation of petroleum agreements with multi-national corporations. He was a director of Chaparral Resources, Inc., a publicly listed independent oil company whose principal operations were in the Republic of Kazakhstan and of Belco Oil & Gas Corp., which was a publicly listed independent domestic oil and gas company. He was also a senior executive of its predecessor, Belco Petroleum Corp, which was a Fortune 500, NYSE Company that was an international independent oil and gas and mining company with related construction and transportation activities. As President of Belco’s international division his responsibilities included supervision of operations in Canada, Peru, and Ecuador; development of strategic goals and objectives; new investment opportunities; and foreign and U.S. government relations. Mr. Berlin has also served as a Special Consultant to the United Nations Department of Technical Cooperation for Development and the Center for Transnational Corporations (both are now part of UNCTAD) and was a Honorary Associate - Advisor on Consultancy Services of the Centre for Petroleum Energy & Mineral Law & Policy, University of Dundee, Scotland. Mr. Berlin is a Graduate of Baruch College, City University of New York (BBA); and New York University School of Law (LLB, LLM). For more information about Alan Berlin, please visit LinkedIn. Shirley A. Coffield is an attorney who consults with our firm in the areas of international trade, regulatory issues and policy. She is experienced in U.S. administrative and trade regulation cases and represents and advises U.S. and foreign clients on compliance with international trade agreements. In recent years, Ms. Coffield has specialized in Food Safety regulations, imports and exports, animal and human health considerations in US and international trade, (USDA/FDA) and has represented international associations in connection with US and foreign government regulatory matters. During her career, she served in US Senate Finance Committee, as Assistant General Counsel to the U.S. Trade Representative and as Senior Counsel to the Deputy Assistant Secretary of Commerce for Textiles and Apparel. While at USTR she served as Chairman of the Interagency 301 (unfair trade practices) Committee, and had the major responsibility for legal recommendations under Section 201 of the Trade Act of 1974. Ms. Coffield is the author of many articles on, and has lectured extensively in the United States and abroad on multilateral and regional trade agreements and on U.S. international trade law and policy extensively in the U.S. and abroad, including presentations covering various aspects of the GATT/WTO system in Thailand, Japan, Burma (Myanmar), Hong Kong, Taiwan, and New Zealand as a USIA Private Sector Speaker, and at a training course in Mexico for potential NAFTA jurists. She has lectured at Georgetown Univ. Law School and at American University’s Washington College of Law. Since graduating from law school with a JD, MBA & LLM in 2012, Ngosong has worked on a variety of issues involving international commercial transactions, government procurements projects, antidumping and Section 337 trade litigation and lobbying, regulatory compliance, energy consulting in Southeast Asia. He has worked at Alta Resources Corp. assisting them as senior compliance attorney. He currently assists companies in day-to-day compliance with U.S. trade laws and related audits, investigations, intervention, and civil enforcement proceedings. Ngosong frequently speaks on international trade topics in the U.S. and abroad. He taught law and business courses as a full time member of Faculty of law in Malaysia. He also teaches international trade law courses as an adjunct professor at St. Norbert College Schneider School of business. He has also authored and co-authored articles on trade related topics at peer reviewed law journals and business magazines. Ngosong received his BA from University of Wisconsin-Green Bay, JD/MBA from West Virginia University College of Law, and LLM from Tulane Law School. Bernard V. Kleinman has been a practicing attorney for more than thirty-five years. He originally served as an attorney in the General Counsel’s Office for Times Mirror Corporation. Since 1985 he has been in practice with the Law Office of Bernard V. Kleinman, PLLC. 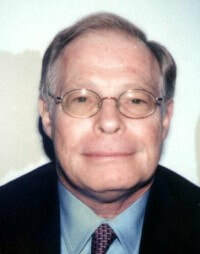 He is Of Counsel to Aitken Berlin, LLP, handling litigation matters. His expertise is in pre-trial discovery, trial, post-judgment issues, and appellate practice in the Federal Courts and New York State Courts, and before the American Arbitration Association. Bernard has argued before the Second Circuit more than sixty times, covering a wide range of cases, issues, and types of litigants. He has handled a wide variety of matters including federal criminal practice in the areas of health care fraud, terrorism, organized crime, habeas corpus, wire, mail and securities fraud, tax evasion, and narcotics conspiracy. His civil practice has included the areas of federal civil rights defense litigation, defamation and slander, labor arbitration, federal civil contempt, securities law, education law, and civil forfeiture. He has been recognized since 2014 as a NY Super Lawyer (a top 5% designation). Queens College (BA); New York University Graduate School of Business Administration (MBA); Brooklyn Law School (JD).